National Prayer Day (also known as National Day of Prayer, Fasting, Repentance and Reconciliation) is a Zambian public holiday celebrated on October 18 every year. 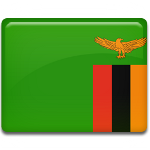 Its main goal is to unite all Zambians in the face of hardship. National Prayer Day was inaugurated by President Edgar Lungu in 2015. That year, the Zambian kwacha fell 45% against the U.S. dollar due to a sharp drop in the price of copper, Zambia’s main export. Besides, the country suffered power shortages caused by low water levels in Lake Kariba (the Kariba Dam is the main supplier of electricity in Zambia). President Lungu inaugurated National Prayer Day in hopes of preventing further economic decline. On October 18, 2015, a large prayer gathering was held at the Heroes Stadium in the Zambian capital of Lusaka. Prayer Day has been observed every year since. Its main goal is to unite Zambians, as well as to promote reconciliation and healing. All pubs, bars, restaurants, and other public places are closed to encourage people to fast and devote their time to prayer. National Prayer Day caused a controversy in the Zambian society. According to critics of the current government, it was inaugurated to distract people from the country’s economy troubles.